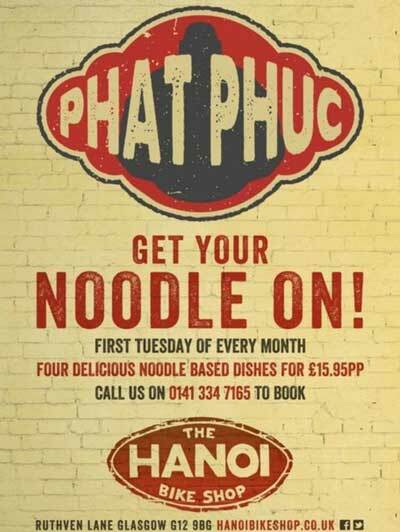 A poster for a Vietnamese noodle bar in Glasgow, which featured the phrase "Phat Phuc", has been cleared by the Advertising Standards Authority (ASA). Two complaints to the watchdog claimed that the phrase, when spoken in English, sounded like a swear word. 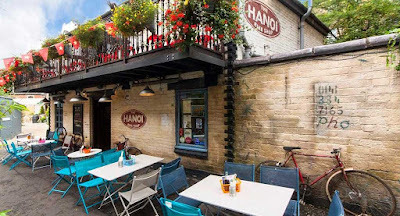 The Hanoi Bike Shop restaurant replied that the Vietnamese pronunciation was "Fet Fook" and meant "Happy Buddha". The ASA said the posters were unlikely to cause serious offence as it was obvious that pronunciation may differ. The ASA ruling said that two posters for the noodle bar which had been seen on a train on 19 October and at a train station on 13 November, had been the focus of the complaints. The poster showed slogans with text that stated: "Phat Phuc...The Hanoi Bike Shop." One complaint said the poster was offensive as it featured a slogan which, when spoken, sounded like a swear word. The other said it was inappropriate for public display where children could see it because it featured a slogan that sounded like a swear word when spoken. In relation to the first complaint, the ASA acknowledged that the phrase could sound similar to a swear word. The watchdog said: "However, we noted that the Hanoi Bike Shop sold Far Eastern cuisine, which both posters had made sufficiently clear. In the context of the posters, we considered that viewers who might have been offended by bad language were likely to recognise that "Phuc" was from a reference to Southeast Asian language, was different from the expletive and would not necessarily be pronounced in the same way. "We therefore, concluded that the posters were unlikely to cause serious or widespread offence." On the second complaint, the ASA found: "We considered that younger children who were unlikely to comprehend that "Phuc" was a Vietnamese word were also unlikely to read or pronounce it as the expletive. While some older children might have pronounced it as the expletive, given the context of an ad for a Vietnamese restaurant and that the word was taken from this language we did not consider that this made it unsuitable for them to see. We therefore concluded that the posters were not irresponsibly placed where children could see them." Good on Glasgow. This wouldn't fly in the states. Okay, why would you go to a bike shop for noodles? Or why would you go to a noodle shop for a bike? Back to topic: For a while, in Blacksburg, Va., a college town (VPI), there was an eatery that catered to the college crowd, and which was named Mother Phucquar's. (Not 100% certain of last name spelling.) No kidding. This was about 1974. Here in SoCal, we have a Thai restaurant called Phu Ket.